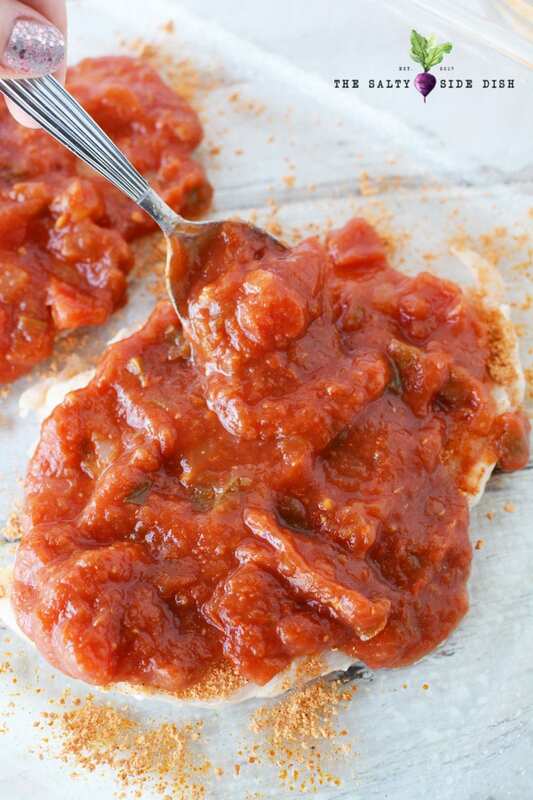 Salsa Chicken is a delicious 3 ingredient meal, low on carbs, and baked to perfection. Easy to make for a busy family weekday meal, is a 5 minute prep and less than 30 minute bake time, making this recipe a top choice for a quick dinner without sacrificing flavor. When it comes to Mexican food, typically the whole family can get behind dinner. 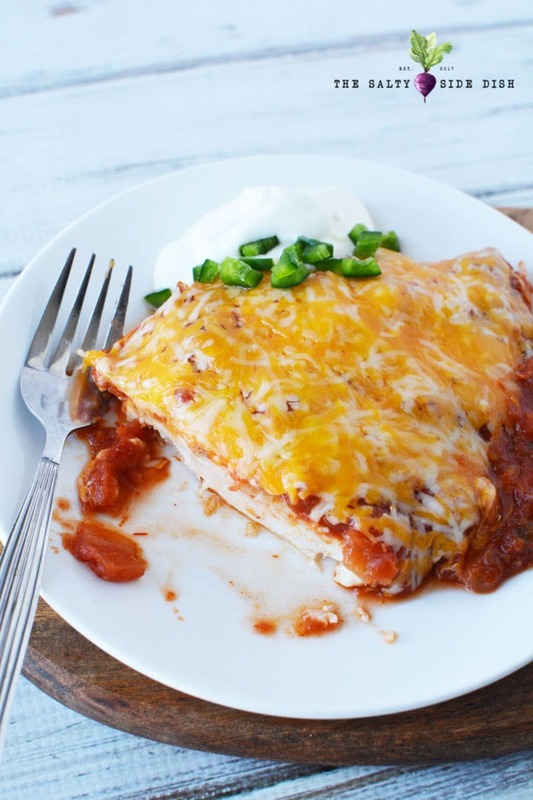 From a hearty burrito pie to a crowd pleasing Mexican cornbread casserole, there are 7 ways to Sunday to mix up dinner. And with unlimited toppings and easy ways to change up ingredients so your entire family can love it, typically its seconds all the way around. Now while I love a crunch taco and a fajita nacho, this salsa chicken is simple, flavorful, and quick. 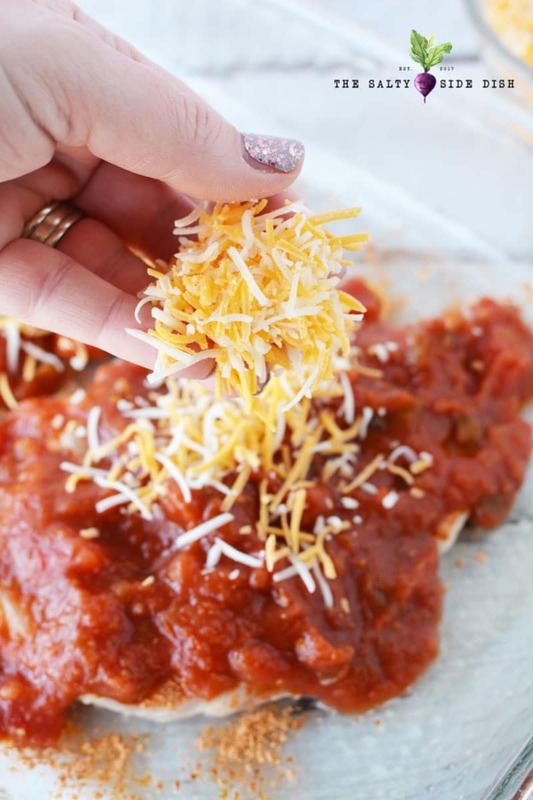 With very few ingredients and likely ones you already have in your home, all it takes is a jar of salsa, chicken, and some light taco seasonings to be ready for dinner in under 30. Mix your flavors and spice up by playing with Salsa flavors. You can use super hot salsa to kick it up a notch or super mild if you are serving to kids that just don’t love the jalapenos. Want to go the extra mile? Make fresh salsa! Chicken Breast Tip: My store was out of regular chicken breast, so I bought thin cut. I cooked the thin cut for 12 minutes and it was done, so I’m recommending 10-12 mins. If you are using a larger/thicker cut chicken breast, I’d recommend 25-35 minutes until center is no longer pink/juices run clear. Preheat oven to 375 and grease a 9×13 baking pan with nonstick cooking spray. Lay chicken into pan and sprinkle with taco seasoning. Top with salsa and spread evenly among chicken. 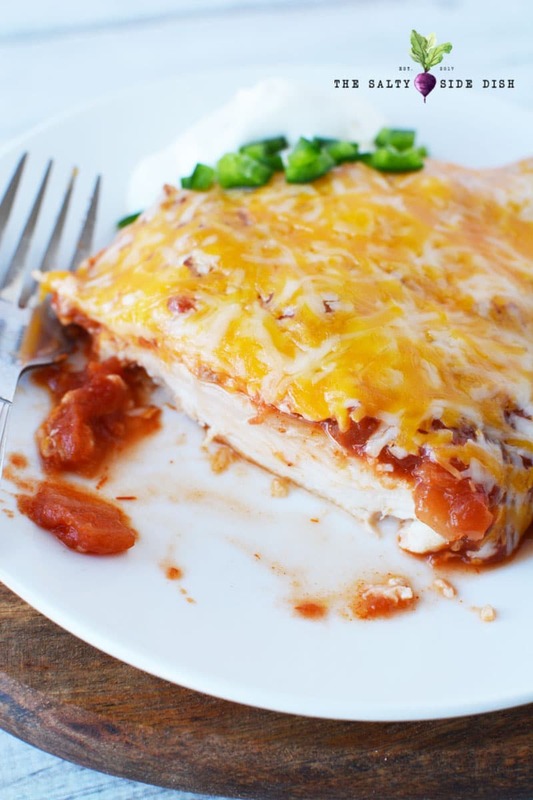 Bake for 10-15 minutes if thin cut or 25-35 minutes if a thick/regular cut chicken breast. Need more Mexican flavors for your Taco Tuesday? 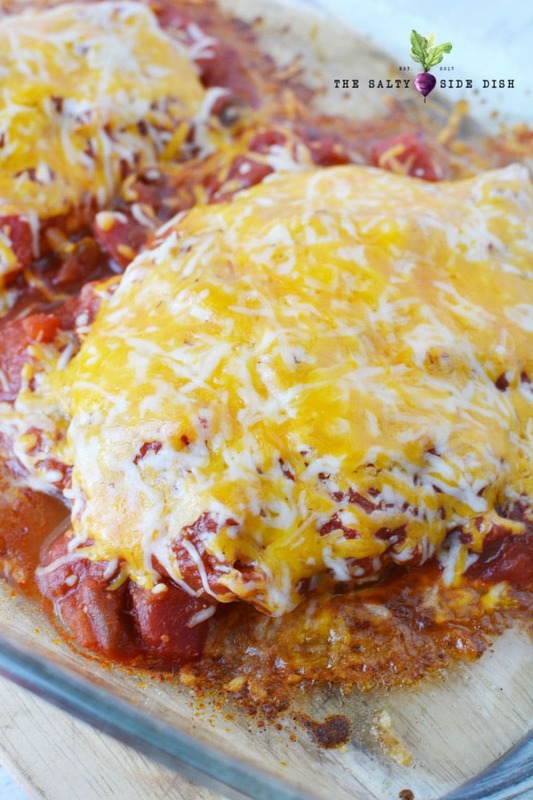 Mexican food is a staple in our home with its fresh tomatoes and delicious seasonings. Here are a few of my favoritse that make our table once a month! 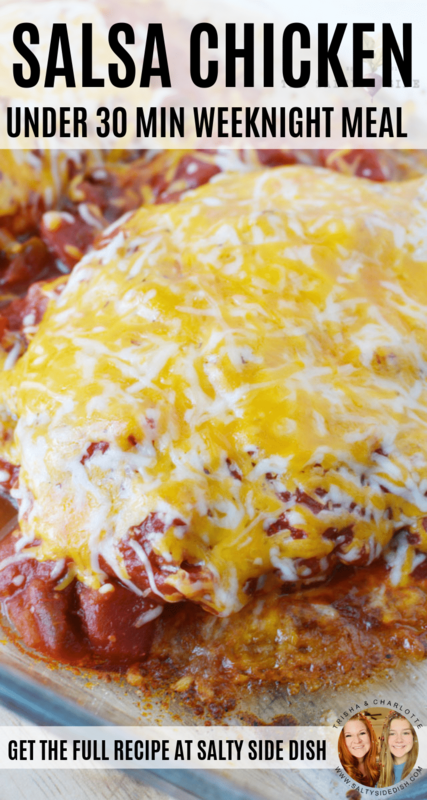 Enchilada Dip– Not gonna lie, we eat this one for lunch! Preheat oven to 375 and grease a 9x13 baking pan with nonstick cooking spray. Lay chicken into pan and sprinkle with taco seasoning. Top with salsa and spread evenly among chicken. Sprinkle with cheese. 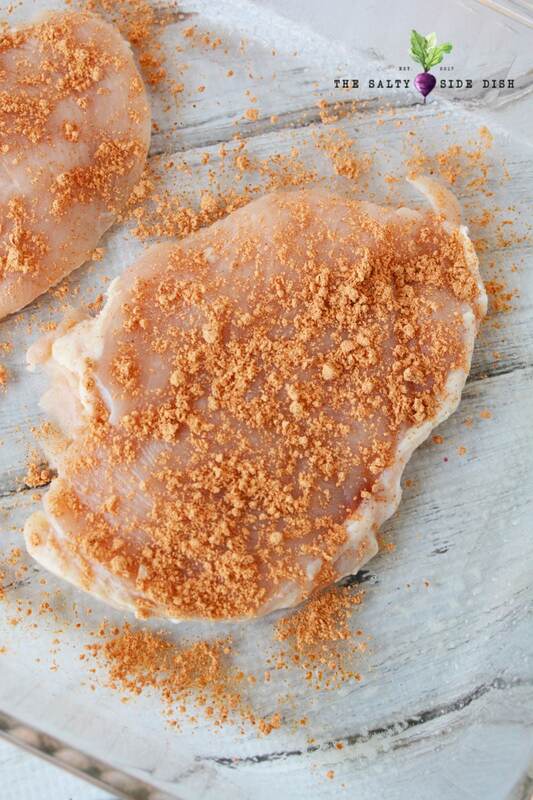 Bake for 10-15 minutes if thin cut or 25-35 minutes if a thick/regular cut chicken breast. Serve with diced jalapenos and sour cream if desired.